Books will be pre-sold between January 1 and December 31st 2014 at an introductory price to be determined. 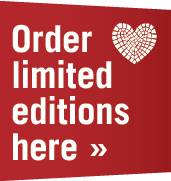 Depending on the interest in this edition, additional books MAY or May NOT be available for purchase after December 31st 2014. Contact these organizations directly to purchase your book! The Loveland 365 Team appreciates you interest and participation! Is your favorite non-profit on the top 10 list in terms of book sales on their behalf? If not get your friends to buy a book and designate them as the recipient of the proceeds! Local resident and businessman John Giroux loves Loveland, and wanted to showcase the things that make it a special place. He turned to friends and associates from the community and set about creating Loveland 365, a year-long project to write about and photograph compelling stories and images from Loveland with the world. The book - Loveland 365 - will make an excellent closing gift for realtors, thank you gift to employees, etc. The book is planned to be printed and available for limited edition sale by mid-May 2011. The following September 18, 2010 letter gives Loveland non-profits a unique opportunity to raise funds through Loveland 365. If your organization could use additional funds to help operate your organization, provide services or perform outreach, please read on. Please take this email seriously and spend 3 minutes to read. I'm writing to share a rare and unique fundraising opportunity for your organization. How often do you have the chance to showcase your community, provide a unique and valuable product to interested Loveland residents, and keep more than half of each sale for your organization's coffers? community has to offer. The response we've had to date reveals that I'm not alone - we have more than 2,300 fans on Facebook, and have had a number of stories showcased in the Loveland Connection newspaper. Our goal for Loveland 365 was to create and publish a coffee-table-style book that showcases all the people, places and things that make Loveland the great town that it is. Now, as part of our continuing effort to support our community, we're in a position to offer this opportunity to organizations like yours for a fundraising project. All proceeds/profits from the sale of the Loveland 365 book up to $20 will go to your organization to use as it sees fit for programs and more. 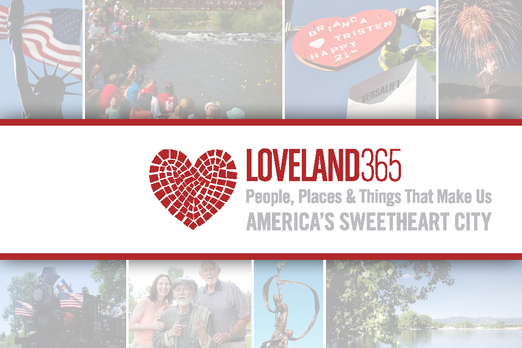 As we've seen already in Loveland, this is a community that loves and supports its own, and that has many stories to share; and the Loveland 365 book will be something that every household in Loveland will want to have a copy of. In fact, many will want two or more, so they can give them as gifts and share what they love about Loveland with others. discussing this opportunity with you in detail. Thank you for your time and consideration - someone from the L365 team will be following up with you soon to answer any questions you may have about the project or this fundraising opportunity. Some of those people, places and things will be highlighted from time to time on the Loveland 365 website as well as on Facebook/Loveland365. Community involvement and contribution are not only encouraged, but are vital to the project. Our hopes are that hundreds of Lovelanders will share their stories and ideas which ultimately become part of the book. If your stories or ideas are chosen, you will be given credit in the book. You may also contribute directly by volunteering to write for the book, or take photographs. Many local residents might have their own well-known favorites in Loveland, and Loveland 365 also hopes to gather and share information about lesser-known local stories that residents think are important. Please send us your thoughts and ideas on what you love about Loveland. The L365 team began work in late 2009 with the project initially launched the week of January 18, and held an official kickoff event on Friday, February 12th at the Pourhouse Bar & Grill. A packed event got the project off to a solid start with many thanks to the Pourhouse Bar & Grill for their generosity.